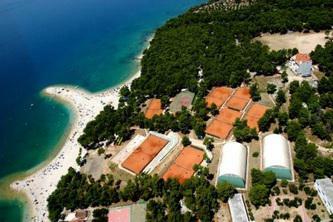 In the second half of August 2015 we would like to invite you again to our popular camp by the sea. This year in very attractive sea destination, the Makarska Riviera, which is a part of the Croatian coast of the Adriatic Sea. Two time in a day tennis training, daily fittness training, accomodation in pension Ribar, halfboard. 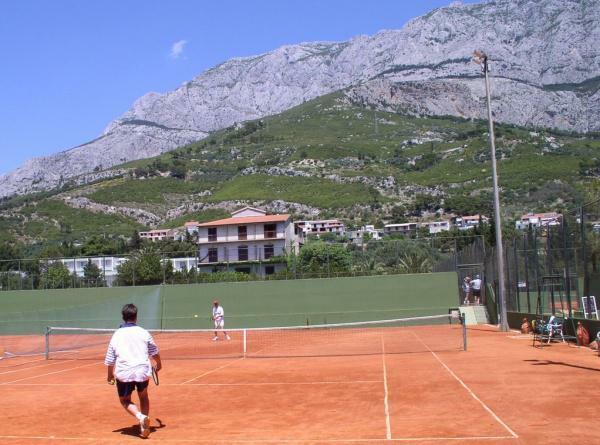 And wonderfull tennis club, with red clay terrace courts, view on sea and Biokovo mountains. For kids in age 5-15, adults of kids are also welcome. And prices are very favourable. Halfboard: breakfast - swedish table, dinner - choice from 3 menu, soup and dezert. Stravování probíhá přímo v penzionu.